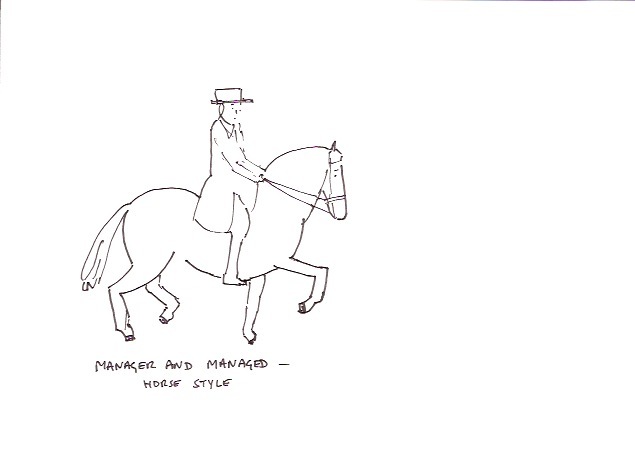 The word ‘management’ derives from the sixteenth century Italian maneggiare, to handle or control a horse. The application has been extended over the centuries from horses to weapons, boats, sportspeople and nowadays to people and affairs quite generally, but the connotation of control remains. Indeed, in management theory, as we teach it in business schools, control is a central preoccupation. Theories differ in the assumptions they make about human motivation and behaviour, and in the organizational structures, incentives, reward systems and managerial techniques they prescribe. Some treat working people as willing or unwilling cogs in a machine, to be disciplined so as to maximize the efficiency of the machine. Others treat them as enterprising but self-interested individuals, to be manipulated through incentives to do what is required. Still others see them as cooperative problem-solvers, to be harnessed to an organization’s culture and goals. But all seek to control them in one way or another so as to maximize their output or efficiency. The words discipline, manipulate and harness could all be applied equally well to that sixteenth century horse. We wouldn’t give somebody the job title of “coper”. it doesn’t sound nearly authoritative enough. But we don’t generally give them the title of ‘controller’ either. We know that managers often aren’t in control, and to describe them as controllers would only invite sarcasm. (Sir Topham Hatt, the benign “fat controller” of the Thomas the Tank Engine stories, acquired his job title on the nationalization of the railways in 1948, when obesity was not considered a problem and war-time notions of what could be achieved by centralized planning and direction still prevailed!) But as any parent will tell you, coping is very important. 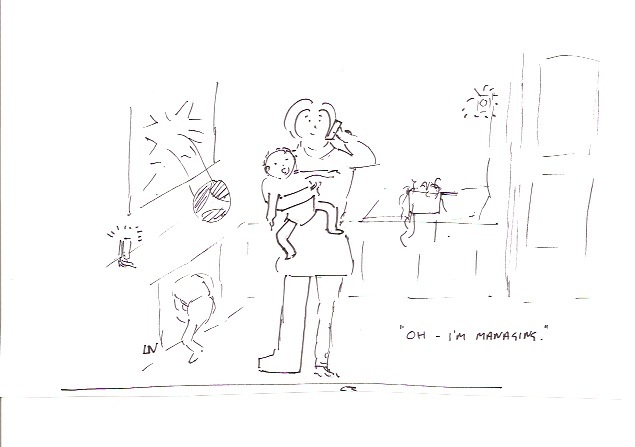 The central challenge for managers, as for parents, is less about controlling and more about coping when, through no fault of one’s own, things begin to get out of control. Whatever kind of business or service you are engaged in, the most challenging aspect of management is trouble-shooting, or responding to what the British Prime Minister Harold Macmillan famously termed “events”. Unplanned, unexpected and often unwanted events happen. Things go wrong. Machines break down. Supplies get delayed. Workers strike. Competitors steal a march. Customers get upset, with or without good reason. Projects go over budget. Deadlines get missed. Tasks get forgotten, or fall through the cracks. People get ill or have accidents at critical moments. People make mistakes. People get convinced that other people have made mistakes. Colleagues fall out. Rumours spread. The best laid plans go awry and things don’t work out as intended. This is life. It has to be dealt with, and the only way it can be dealt with is through the very human process of talking to people and working things out. Situations need to be explained and understood. Conflicts need to be resolved and tensions eased. Mistakes, including the manager’s own mistakes, need to be recognized and rectified. People need to be admonished or forgiven, and helped to do better. Theories of management control are of little help here. You have to work with individual human beings and their actual motivations and behaviours, not with what theories might assume. You have to work, too, with their individual conceptions of the world and how it works, and with their individual concerns and preoccupations, their likes and dislikes, their moods and emotions. 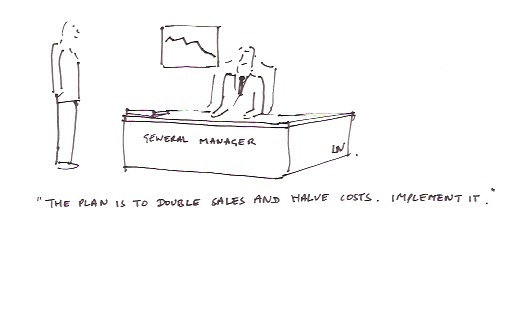 The management literature can still offer valuable insights, however. The literature on sense-making, for example, helps us to understand how people make sense of the world and how the sense they make of it adapts to new circumstances. One of the very important things that managers do is make sense of things for the employees reporting to them, explaining what the organization is about and how their work fits into it, for example. And one of the challenges when things go wrong is to make sense of what has happened and why, giving them a story that fits both with the grander organizational story and with their own personal life stories, on the basis of which they can adapt and move on. The ethics of management are also important here. Though ‘business ethics’ is sometimes dismissed as an oxymoron, the fact is that managers are human beings, the people they manage are human beings, and no matter what the setting the relationships between any human beings are moral relationships. A good manager, like a good friend, will be compassionate and caring, truthful and fair, human-hearted, to use an Eastern term, or loving, to use a Western one. Of course, we would never put the word “loving” in a manager’s job description, just as we would never put in the word “coping”. It’s not scientific enough, not sufficiently output-oriented; it smacks of inefficiency and softness when we want to signal efficiency and hard results. But I don’t think you can manage well without it. John Hendry is the author of Management: A Very Short Introduction and Between Enterprise and Ethics: Business and Management in a Bimoral Society. He was the founding Director of the University of Cambridge MBA and Head of the Reading University Business School, and is now Emeritus Professor of Management at Henley Business School and a Fellow of Girton College, Cambridge. The Very Short Introductions (VSI) series combines a small format with authoritative analysis and big ideas for hundreds of topic areas. Written by our expert authors, these books can change the way you think about the things that interest you and are the perfect introduction to subjects you previously knew nothing about. Grow your knowledge with OUPblog and the VSI series every Friday and like Very Short Introductions on Facebook. Subscribe to on Very Short Introductions articles on the OUPblog via email or RSS. Image credits: Author’s own drawings. All Rights Reserved. Do not reproduce without permission.